We all have THAT friend. Well, I don’t because I AM that friend. The friend who is particular and has champagne taste. The friend who is fancy AF and is incredibly difficult to buy for. Fear not, I have your back. A list of goodies I don’t even have! 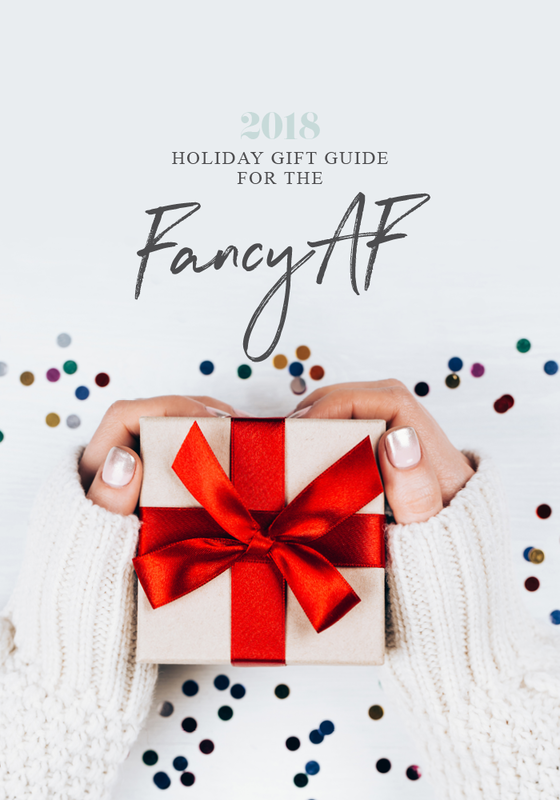 Here is your Holiday Gift Guide for the fancy AF. Are you dreading having to buy a holiday gift for the friend who has everything? Well, if you didn’t find anything that caught your fancy in the Holiday Gift Guide for Pink Lovers, maybe something here will be exactly what you’re looking for.